Securely clip your bills and cards with this motivational money clip. The next time you pay for something, you are reminded to earn 10 times the amount paid because success is YOUR personal obligation! This motivational money clip is ideal to pair up with the motivational business card holder for personal use, a great birthday gift idea, or a corporate motivational gift for all your team. 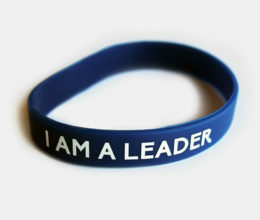 Anthony Rizk has released a series of motivational gifts and motivational products to ensure that you are constantly reminded of your goals and inspirations to become the absolute best of the best! 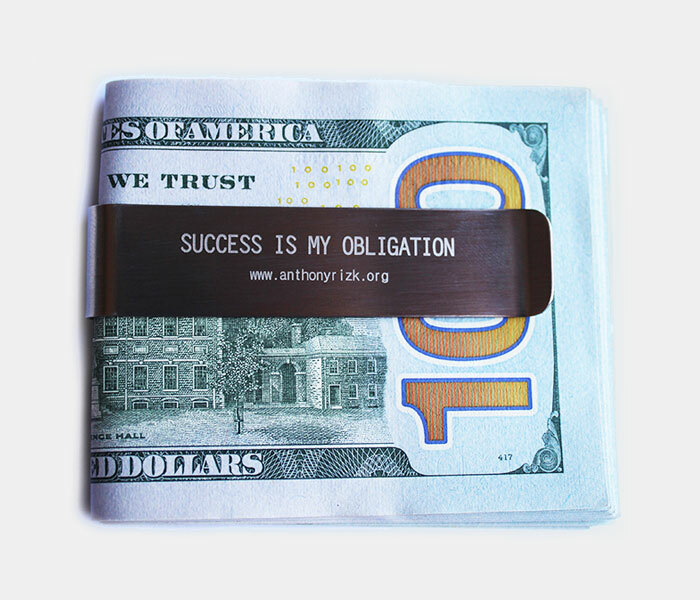 The motivational money clip is a money clip with a printed phrase that says: “Success is my obligation”. 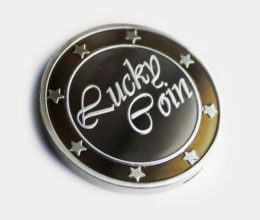 Securely clip your bills and cards with this motivational money clip. The next time you pay for something, you are reminded to earn 10 times the amount paid because success is YOUR personal obligation! This motivational money clip is ideal to pair up with the motivational business card holder for personal use, a great birthday gift idea, or a corporate motivational gift for all your team. 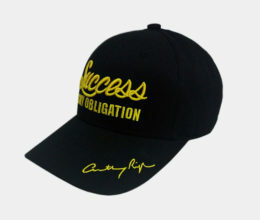 Success is my obligation, is it yours?